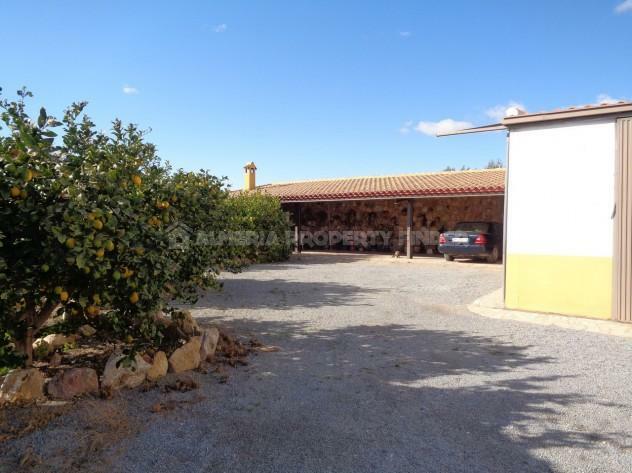 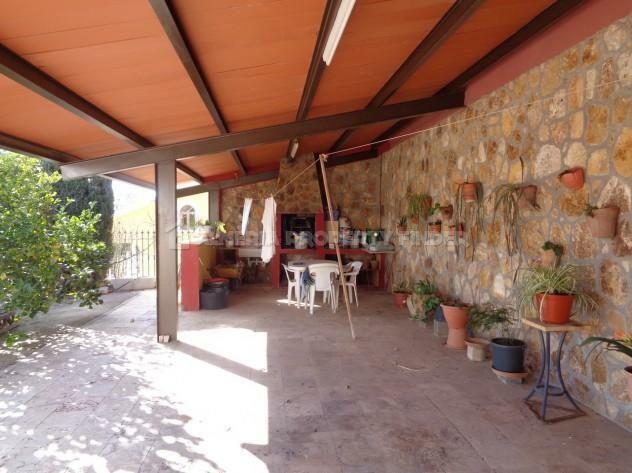 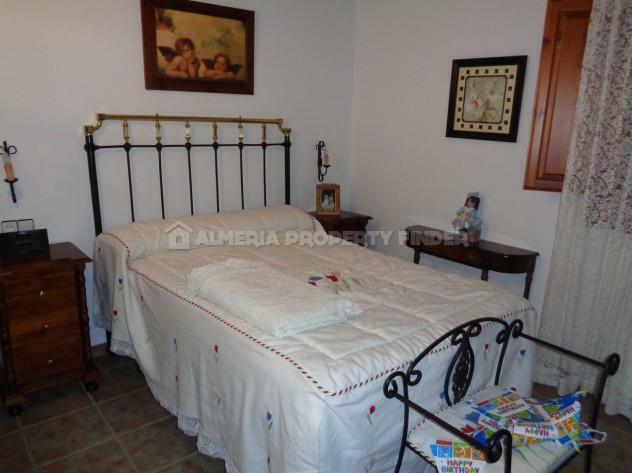 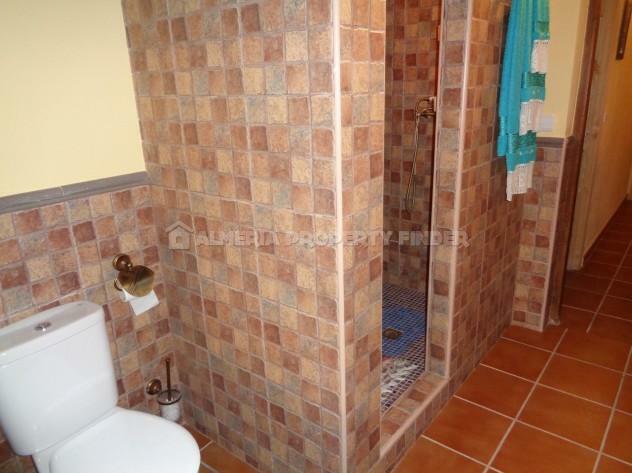 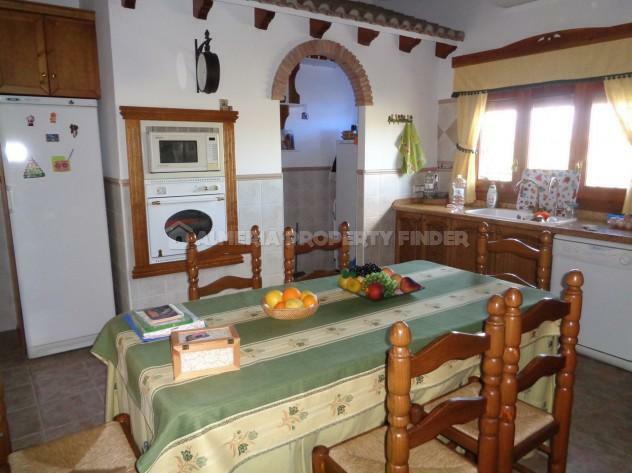 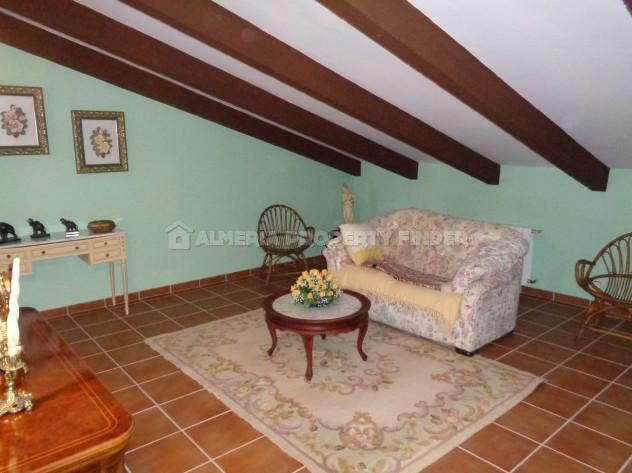 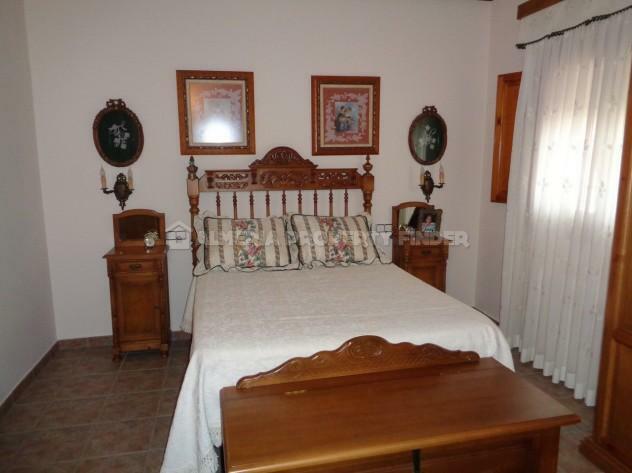 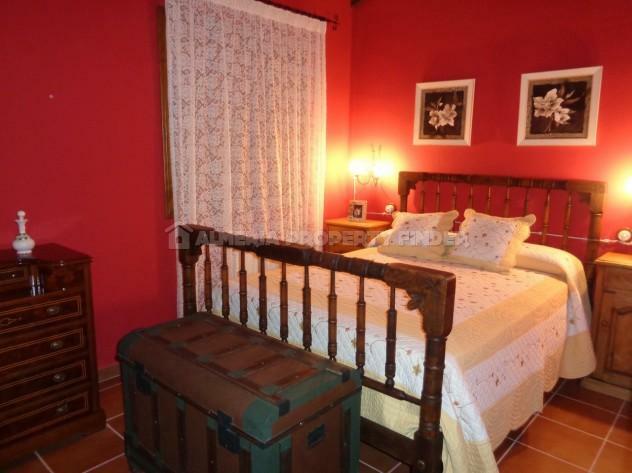 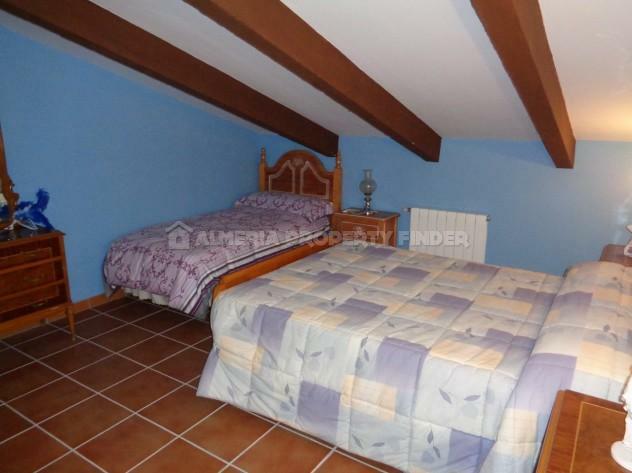 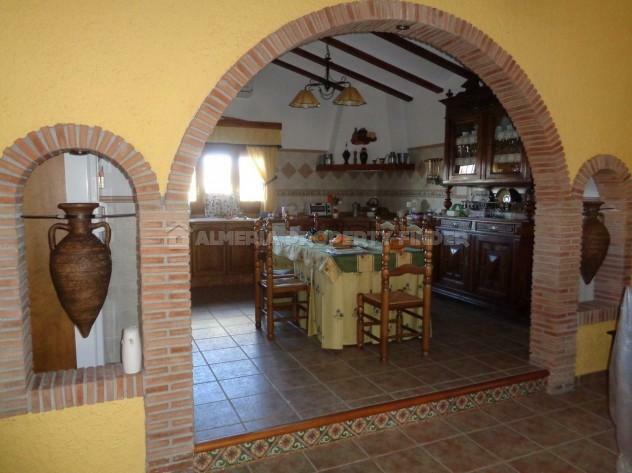 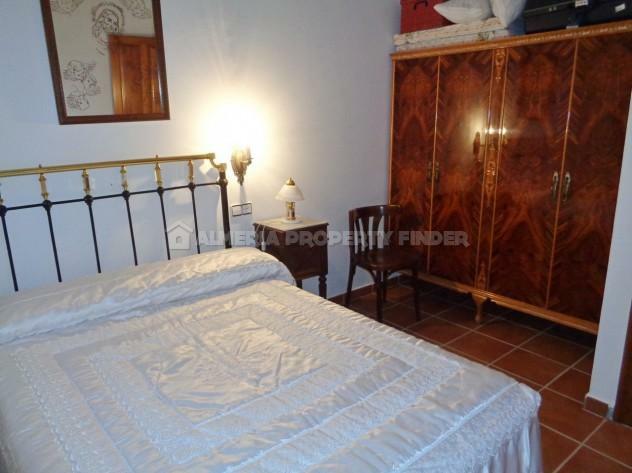 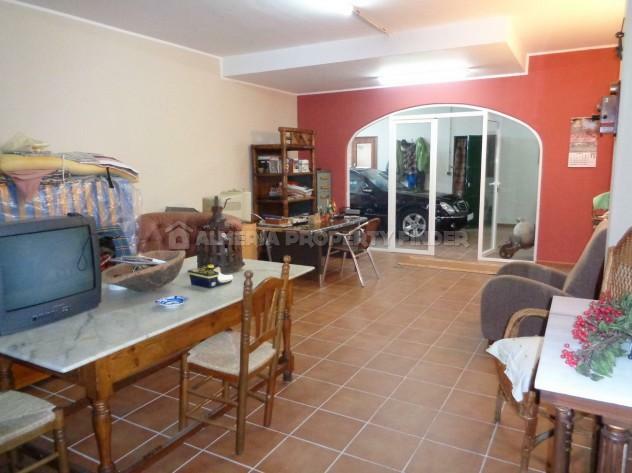 Fantastic detached 7 bedroom country house for sale in Almeria, situated in the Albox area. 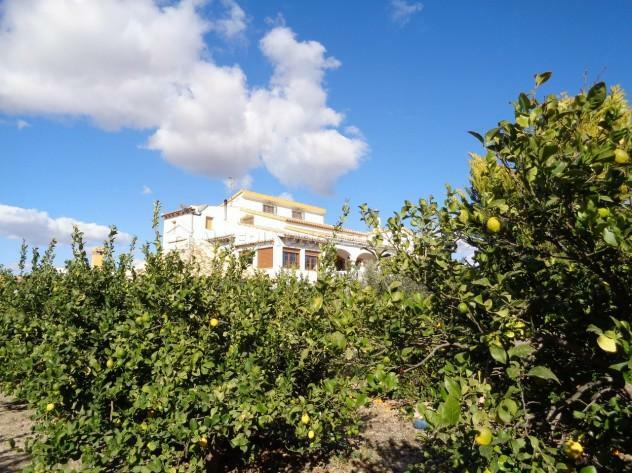 This huge property has a build size of around 500m2, and is set in a plot of 4000m2 planted with orange, lemon, olive, almond, pear, fig and apple trees, along with grape vines. 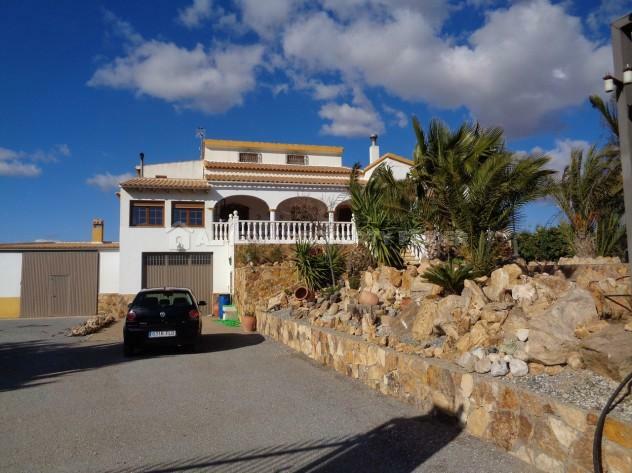 An impressive gated entrance gives access to the driveway which leads up to the house, garages and large car port which also houses a barbecue area. 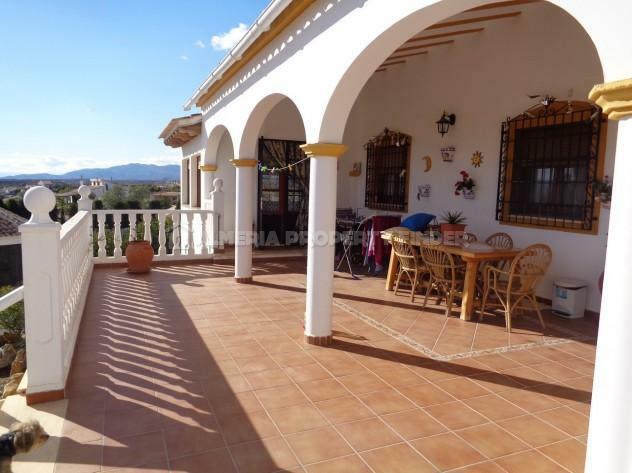 Steps lead up to a large terrace to the front of the house, and the front door opens into an entrance hall. 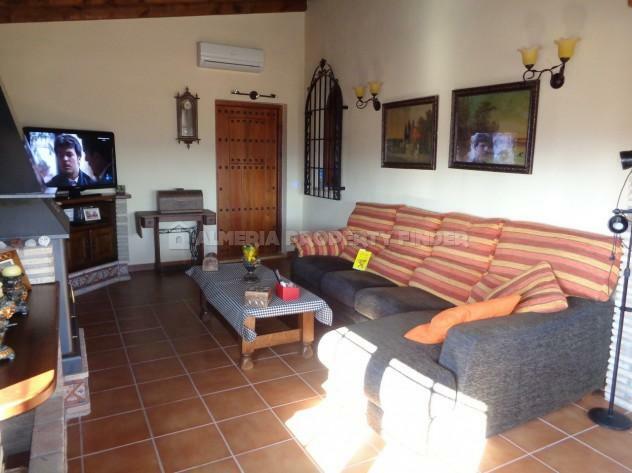 The spacious living room has a feature fireplace with inset wood burner and a large open archway through to good sized fully fitted kitchen with plenty of space for a table & chairs. 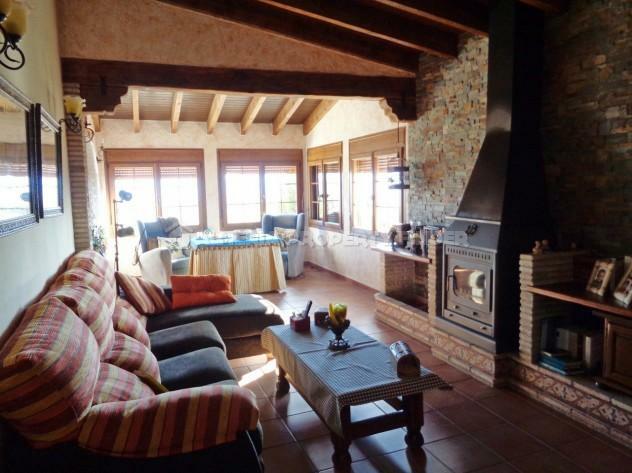 There is a separate lounge with a fireplace housing a wood burner and patio doors leading out to the terrace which has magnificent views over the surrounding countryside. 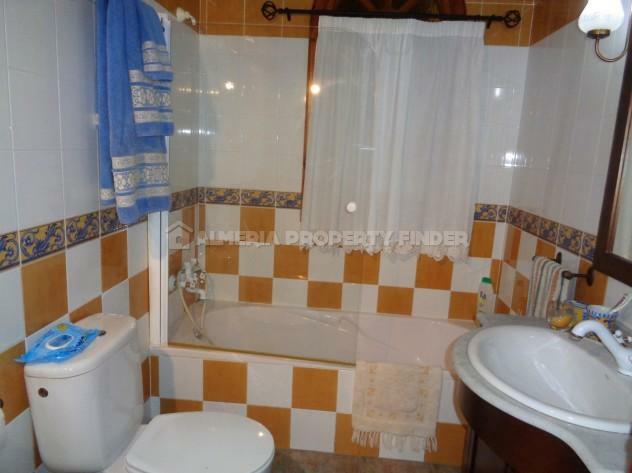 Also on ground floor is a utility room, a double bedroom with en-suite shower room, two further double bedrooms and a separate family bathroom. 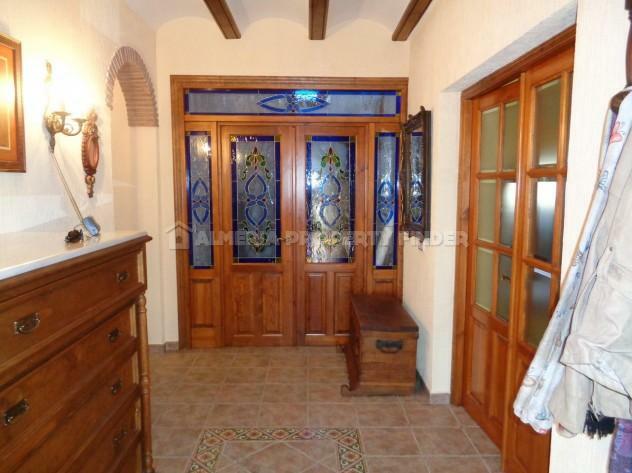 Doors from the entrance hall give access to stairs leading up to a sitting room, two double bedrooms, and a corridor leading to one further double bedroom with a dressing room, and a separate shower room. 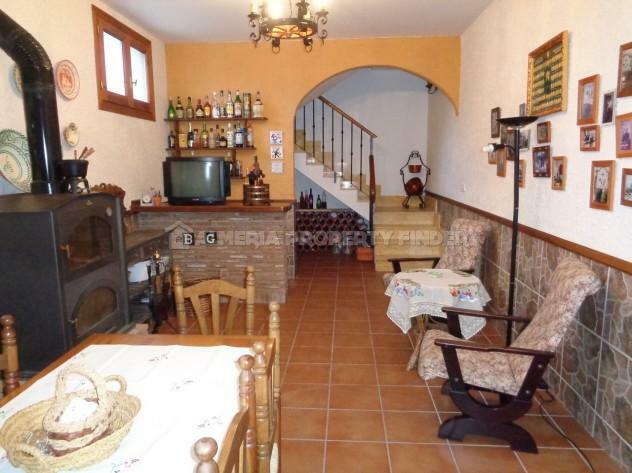 Stairs from the ground floor lead down to another kitchen / bar on the lower ground floor. 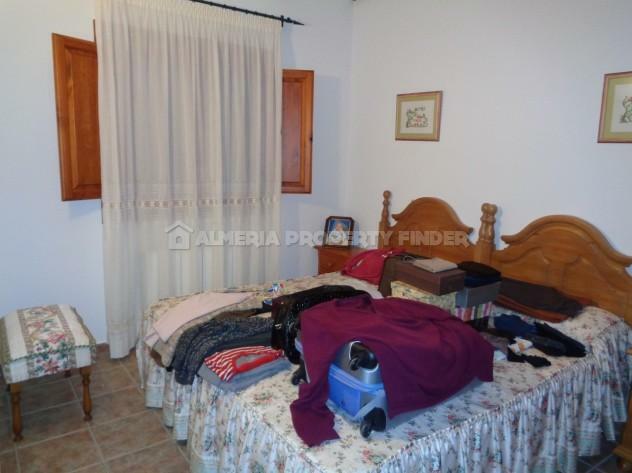 On this level is also an office (7th bedroom), a shower room, and two garages, one of which has a fireplace and a large walk-in storage fridge. 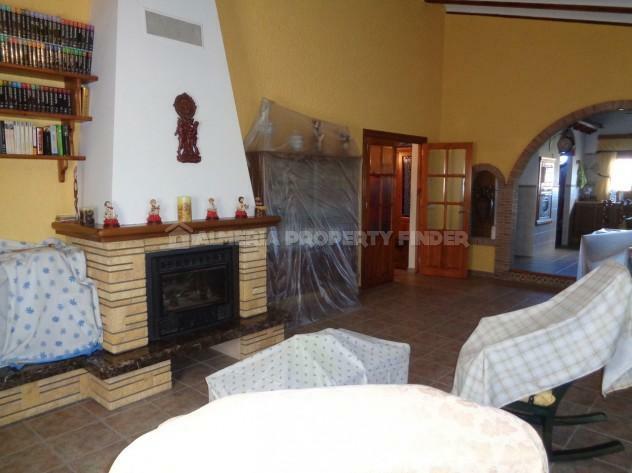 The property benefits from oil fired central heating. 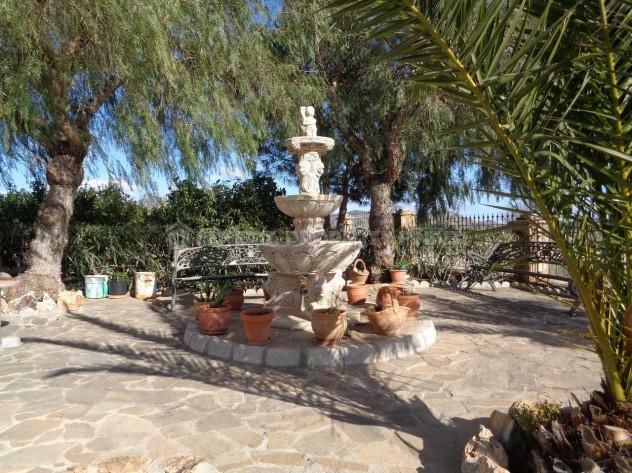 To one side of the main entrance drive is an aviary, and there is also a dog kennel area, a chicken coup, and machinery shed. 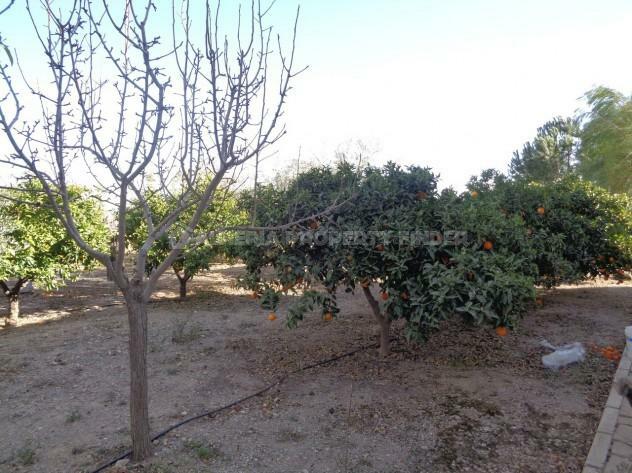 The property benefits from an irrigation water deposit and the trees are fed by an automatic irrigation system. 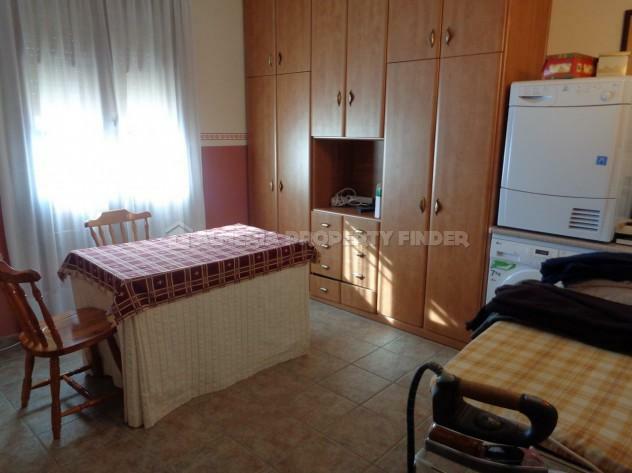 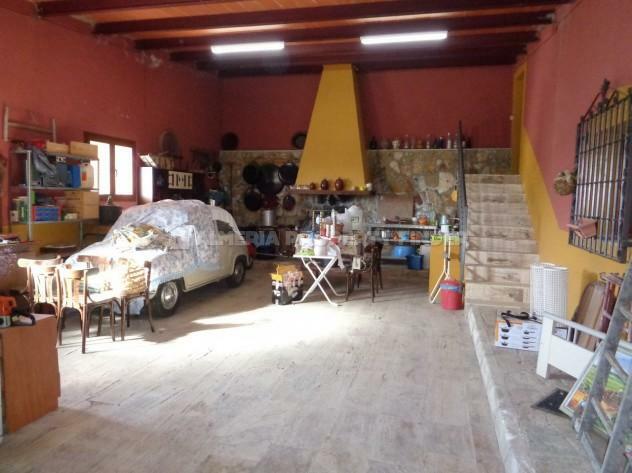 This property would be perfect for a rural hotel or B&B. 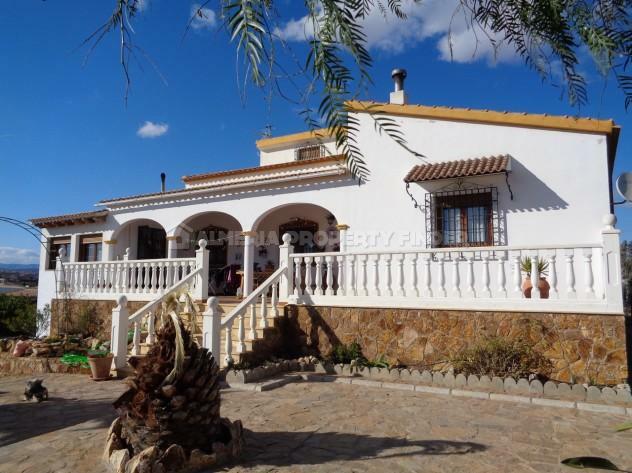 If you would like to receive details of other country houses for sale in Almeria, please let us know your requirements and we will be happy to search our portfolio and send you details of any suitable Spanish properties for sale in Almeria.